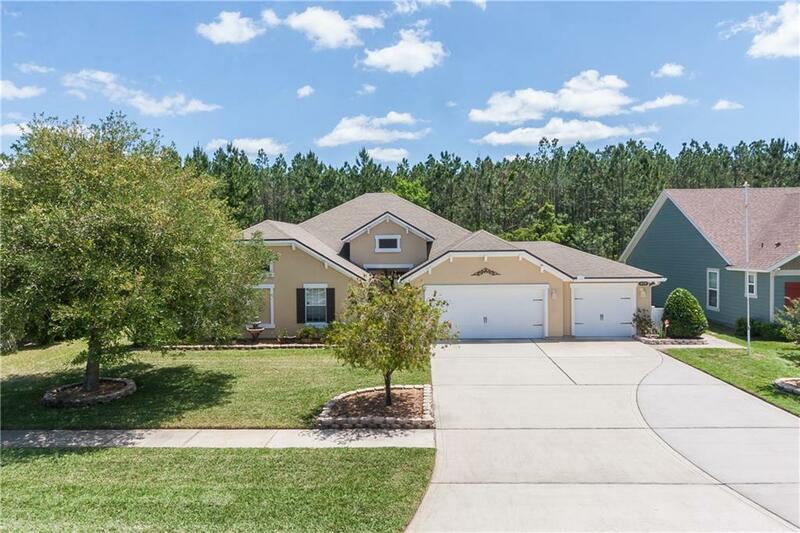 Beautiful 4 bedroom 2.5 bath home in Amelia Walk is a must see. Why wait to build when you move into this home with large fenced backyard ready to go. Open floor plan with split bedroom design features 42'' cabinets, granite counter-tops & wood flooring in kitchen & 3 car garage. Enjoy your morning coffee in the screened patio and grilling on the open extended patio. Home has been immaculately kept and is waiting for you to make it your home! Amenities include: tennis courts, owner's clubhouse, fitness room, zero-entry pool, playground, soccer fields, and wonderful walking trails and sidewalks.